Hello everyone. 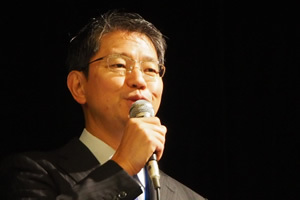 This is Ryosuke Kuroda of Kobe University Orthopedic Surgery. Well, do you know what kind of department orthopedic department is? Department of clinical department of orthopedic surgery is a wide range of age ranging from children to the elderly, treatment of patients who have problems with organs such as bones, joints, spinal cord, nerve, muscle etc. from neck to toe I am in charge of medical department. Treatment of orthopedic surgery such as bone · joint diseases due to aging, trauma from children to the elderly, sports injuries of athletes, treatment of malignant bone · soft tumor which first think of life support It can be said that the area responsible for is very wide. Moreover, as is obvious in modern super aged society, the above-mentioned elderly exercise machine diseases are increasing and the demand for orthopedic surgery is increasing more and more. 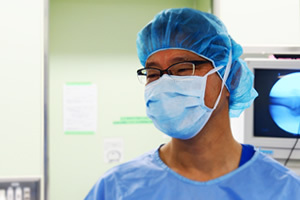 Amidst such backgrounds, Kobe University Orthopedic Surgery offers not only conservative treatments that do not involve rehabilitation surgery, as well as surgery on limb joints using arthroscopy for sports injuries, more accurate surgery using navigation Actively undertake various surgical treatments such as artificial joint surgery, orthodontic ostomy surgery to preserve deformed joints, treat limbs to malignant tumors, spinal and spinal surgery using instrumentation, microsurgery I am going out. In addition, in recent years, such as computer assisted surgery making full use of IT technology, minimally invasive surgery of joint and spine using endoscope, tissue regeneration treatment using carbon dioxide, cartilage and bone regeneration therapy including latest regenerative medical technology We are also working on various new treatments. Kobe University Orthopedic Surgery is in charge of not only treating patients in areas with such diseases but also in charge of medical support for various local professional sports teams. There are many professional sports teams in Kobe, including baseball, soccer, rugby, volleyball, etc. from the land pattern, so various top athletes are consulted as our last resort and are receiving treatment. The achievement of Kobe University orthopedic surgery sports examination was evaluated, and it was registered as a certified facility of FIFA (International Football Federation) for the first time in western Japan in 2015. Towards the 2020 Tokyo Olympic Games, Japan is also striving to strengthen sports athletes in Japan, but sports now occupies a very important position as one of our lifestyles. Kobe University Orthopedic Surgery is actively implementing sports medicine treatment for those being sports as an important role for orthopedic surgeons. Hippocrates who is said to be the father of medicine is a Greek-era college who built the foundation as a doctor, but it treats the trauma of the exerciser the most important, and it describes a lot of books. Also, the beginning of orthopedic sports medicine is said to have begun with research on treatment to soldiers fighting ancient Roman beasts. It can be said that these things mean that the academic orthopedic surgery historically saw a lot from ancient times. Hippocrates and doctors in ancient Rome understand and practiced the need to treat orthopedic surgery as an academic discipline and conduct treatment based on various research results in order to perform orthopedic surgery. I mentioned earlier that the area in which orthopedic surgeons are in charge of treatment is very wide, but the fact that the range of orthopedic practice's defense is wide leads directly to the spread of research fields. Regenerative treatment of bone and cartilage, regeneration of intervertebral disc, elucidation of the pathology of spinal and spinal cord diseases and development of therapeutic methods, development of new treatments for malignant tumors, elucidation of the pathology of joint diseases, research of new surgical methods, applied biomechanics There are countless research themes such as engineering research, immunological research on inflammatory arthritis such as rheumatoid arthritis, new approaches to exerciser rehabilitation, studies on suppression of age-related degeneration in osteoarthritis and osteoporosis, etc. . Actually, there are so many places for active activities, indeed, most of the staff and graduate students are conducting research on an international level and we are doing a great many research presentations at overseas academic conferences. In addition, there are many seniors who are studying abroad to facilities in the US and Europe to further develop their own research, with the results of the research at Kobe University being evaluated. As described above, orthopedic surgery is very wide and important academic field. I think that young researcher doctors and students who are considering future careers never regret having been selected for training in orthopedic surgery. Come and let's do our best in the world of infinitely expanding orthopedic "intellectual adventure" with Hippocrates and ancient Roman doctors along with us!